Happy and Hale is downtown Raleigh’s newest food addition providing visitors and locals with an innovative way to eat healthy. You can find co-owners, Tyler and Matt, driving the “juice mobile” trike throughout downtown Raleigh offering a selection of fruit and vegetable juices. They also have a bright red golf cart delivering their delicious salads. 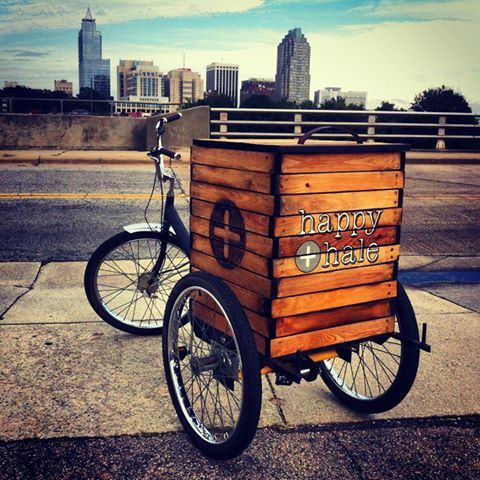 Happy and Hale is currently located on the corner of Fayetteville and Hargett Sts., and also offers delivery services. You can eat your veggies by ordering one of Happy and Hale’s fresh salads. There are many salad options like the “Walter’s Harvest” featuring roasted butternut squash and goat cheese or the “All Hale Caesar” featuring dinosaur kale and cannellini beans. 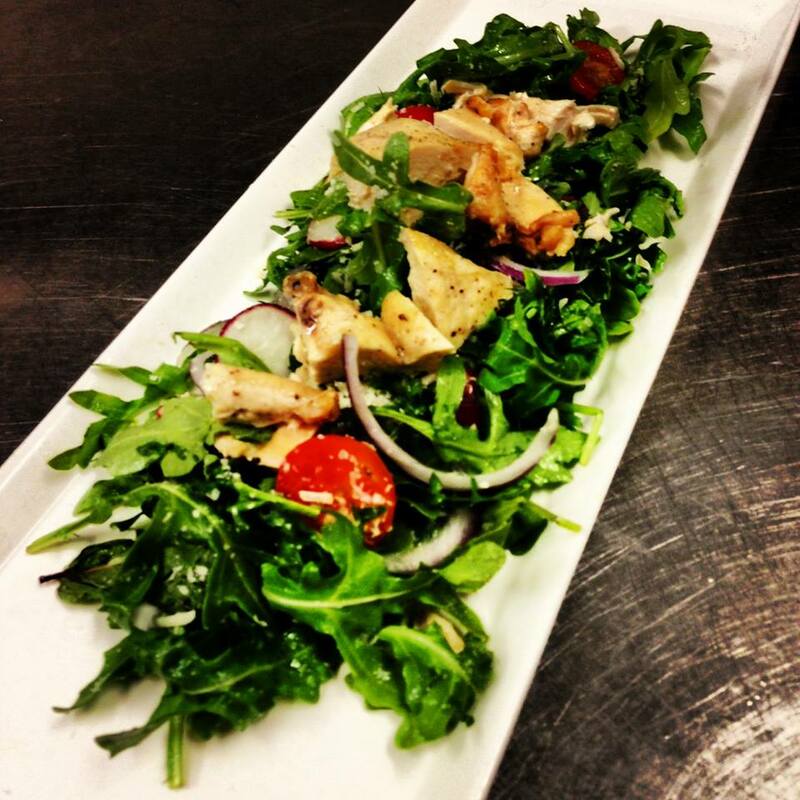 The salads are priced at $8 and provide you with a healthy and filling meal. You can also drink your veggies by ordering one Happy and Hale’s homemade juices. 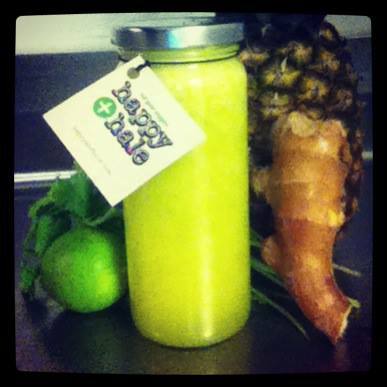 One of my favorites is the “Pineapple Express” with pineapple, cilantro, lime and young ginger root. The juices are brightly colored and all-natural. They never contain added sugars, just organic fruits and vegetables. Another delicious and hearty juice is the “Beet It” with beet, carrot, dinosaur kale, watercress, cucumber, celery, fuji apple, lemon and young ginger root. Tyler and Matt plan to launch a brick and mortar restaurant in downtown Raleigh. Remember to eat your veggies and pay Happy and Hale a visit!